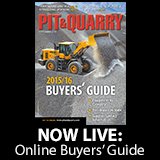 Aggregate products sales volume at U.S. Concrete increased 99.8 percent in the second quarter of 2018 compared with the second quarter of 2017. Watch William Sandbrook’s acceptance speech at the 2018 Pit & Quarry Hall of Fame induction ceremony, which took place March 6 in Houston. Despite weather obstacles in key regions, U.S. Concrete reports that aggregate product revenue and the average sales price of aggregate increased in the first quarter. U.S. Concrete recently partnered with Andretti Autosport for six races of IndyCar competition. 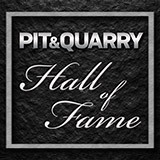 Four aggregate industry leaders joined the ranks of the Pit & Quarry Hall of Fame during an induction ceremony in Houston. U.S. Concrete acquired an aggregate-producing facility that is in close proximity to the market in Amarillo, Texas.